After taking a law degree at Oxford he trained as a solicitor, qualifying in 1976. 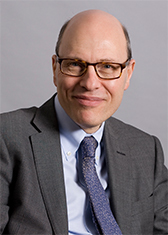 He is an honorary Master of the Bench (bencher) of Gray's Inn and holds honorary doctorates in law from the University of Hertfordshire (1999), Nottingham Trent University (2012), the University of Lincoln (2014) and the University of Law (2014). For more than a decade he has written a twice-monthly column for the Law Society Gazette. From 2010 to 2016, he wrote a weekly commentary for the Guardian website. His columns and commentaries now appear on his Facebook page. Joshua has now delivered the third of three annual lectures at Gresham College about the government’s plans to introduce online courts in England and Wales. Joshua was the BBC's legal correspondent for 15 years before moving in 2000 to The Daily Telegraph. He resigned as the newspaper's legal editor in the summer of 2007 but continued writing a weekly column until the end of 2008. A decade after he left the BBC, Joshua returned in 2010 to present the popular Radio 4 series Law in Action, a programme he had launched in 1984. In 2012, he was included by The Times in its independently-judged list of the UK's 100 most influential lawyers, the only journalist to feature in the Times Law 100. Joshua is known for his independence, his authority and his ability to explain complicated legal issues with simplicity, clarity and wit. Because he trained as a lawyer before becoming a legal journalist, he is often the first port of call for broadcasters faced with a breaking legal story. He appears regularly on Sky News, the BBC news channel and other news networks in the UK and abroad. Well respected by lawyers and the judiciary, Joshua is often asked to chair or address legal conferences and other corporate events. He is accredited as a mediator by the ADR group, though he does not practise. He has a particular interest in constitutional reform, dating back to his time as producer of The Week in Westminster on Radio 4. Freedom of expression is another of his interests, and he wrote the well-reviewed book Privacy and the Press for Oxford University Press (2004, updated 2005; Chinese edition 2012). Earlier books include Trial of Strength, which examined the tensions between ministers and judges under the last Conservative Government, The Search for Justice, an anatomy of the law in the mid-1990s and The Case for the Crown, which charted the launch of the Crown Prosecution Service.